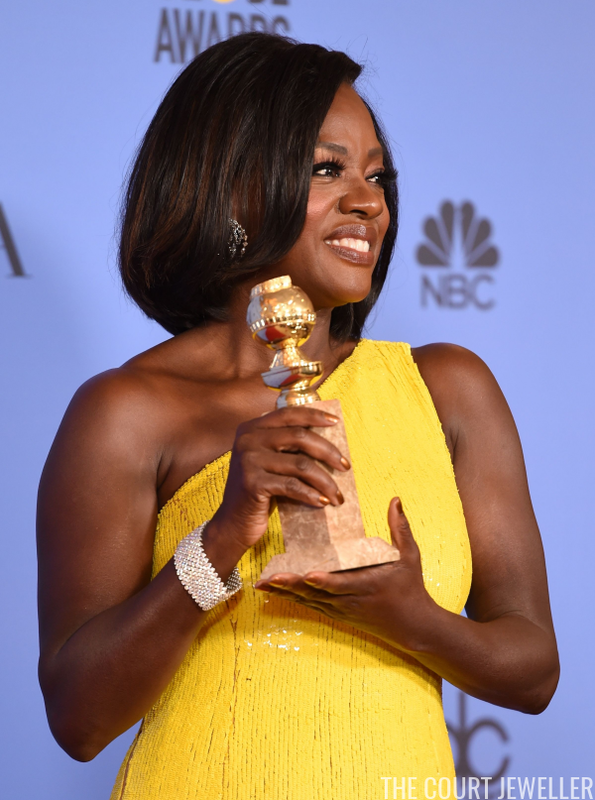 Viola Davis, who won for her role in the film adaptation of August Wilson's Fences, wore a beautiful diamond bracelet from Harry Winston. Actress Gillian Anderson (who will play Edwina Mountbatten in an upcoming film, Viceroy's House) wore a gorgeous Buccellati bracelet. 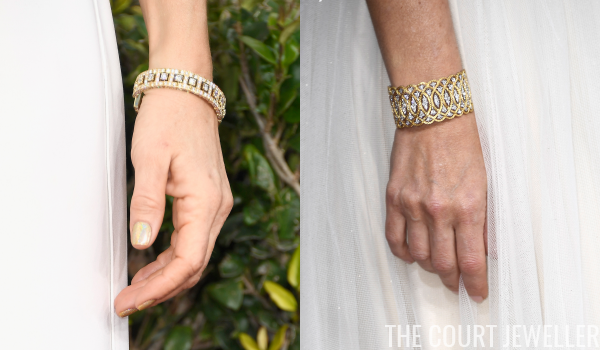 Sienna Miller, one of the presenters at the ceremony, piled on pearl bracelets loaned to her by Tiffany and Co.
Another presenter, Kristen Bell (who stars in one of my favorite television shows, The Good Place), wore dazzling diamond bracelets from Harry Winston. 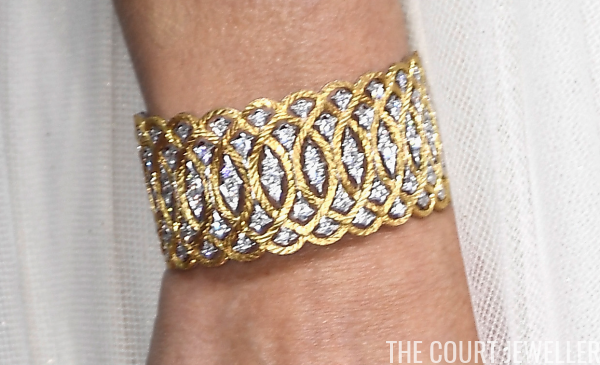 Ruth Negga, nominated for her role in the film Loving, wore a modern gold cuff bracelet from Fred Leighton. The bracelet is set with a twenty-five carat Mozambique ruby from Gemfields, a company that responsibly sources colored gemstones. Wonder woman would definitely approve! 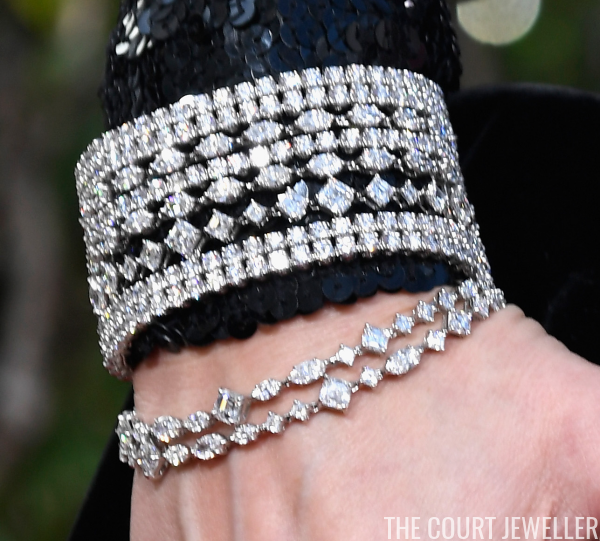 Felicity Huffman, a nominee for her work in the television series American Crime, wore a classic bracelet from Martin Katz. 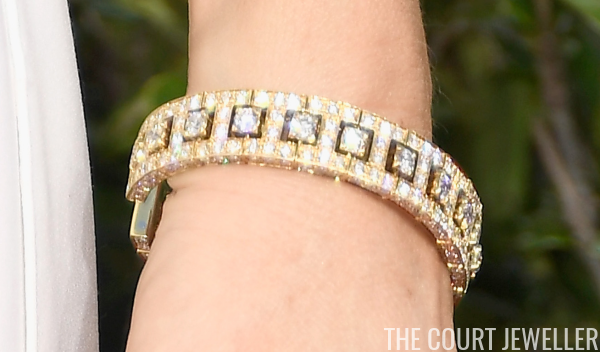 Stay tuned here for more Golden Globes jewelry throughout the day! Labels: buccellati , fred leighton , golden globes , harry winston , hollywood royalty , martin katz , tiffany and co.